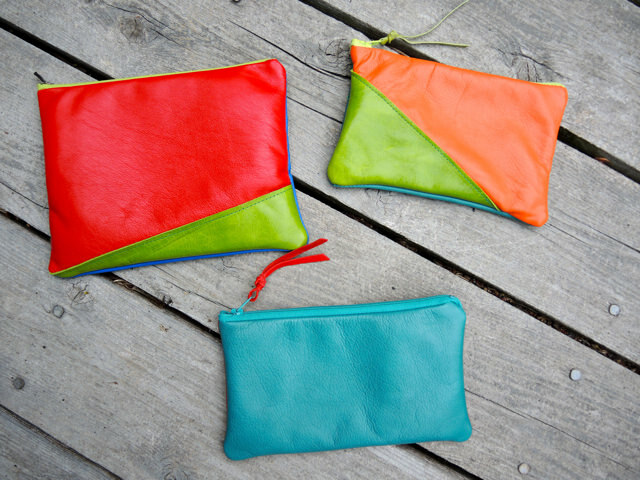 I made three colour therapy pouches today out of some of my favourite remnants. 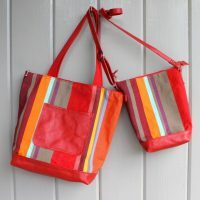 It is very enjoyable putting colours together and remembering where the leather came from. I save every last bit of my favourite pieces. The red is from a leather blazer that I bought in Florence. 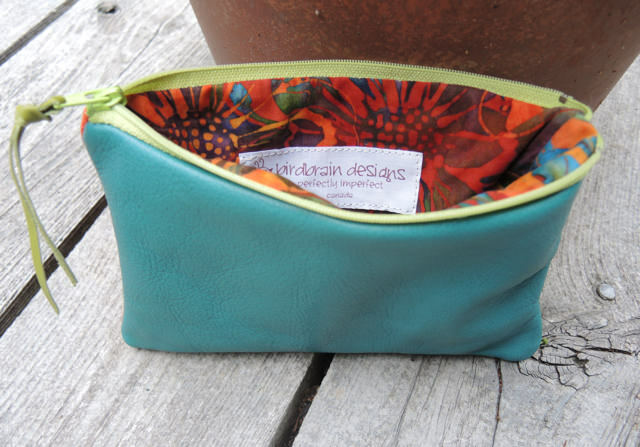 It is beautiful leather–and the turquoise is the very last piece left from some great bags I made a few years ago. 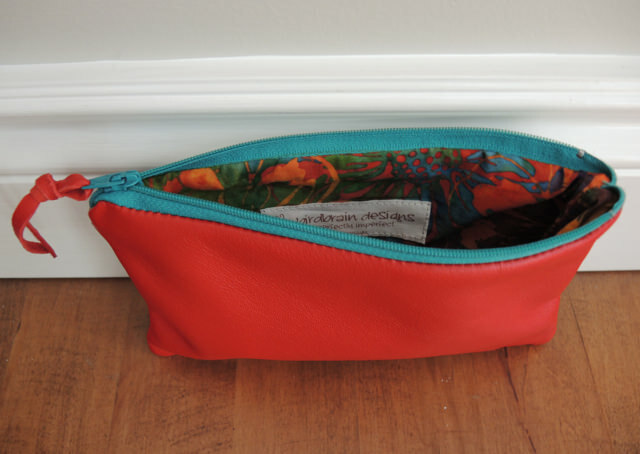 These pouches are all lined in a bright batik and close with coloured zippers. They will be in the shop tomorrow.